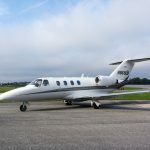 Make an offer on this Cessna Citation CJ1! 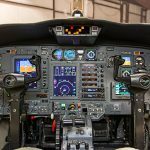 Featuring beige leather six-passenger configuration seating, Collins Pro Line 21 avionics, Garmin GPS-500, and more – this aircraft is ready for its new home. Click here to view full specifications and contact a Skytech representative to see it in person. 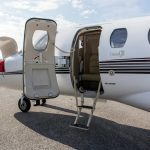 Categories: Blog | Tags: aircraft for sale, airplane, aviation, Citation CJ1, Citation jet, CJ1, Cj1 for sale, inventory, jet for sale, N869CB, Skytech, and Skytech inc. This entry was posted on Tuesday, December 11th, 2018 at 3:01 pm. Both comments and pings are currently closed.